An 18-year-old who holds the Guinness World Record for being the teen with longest hair has had her first ever haircut. 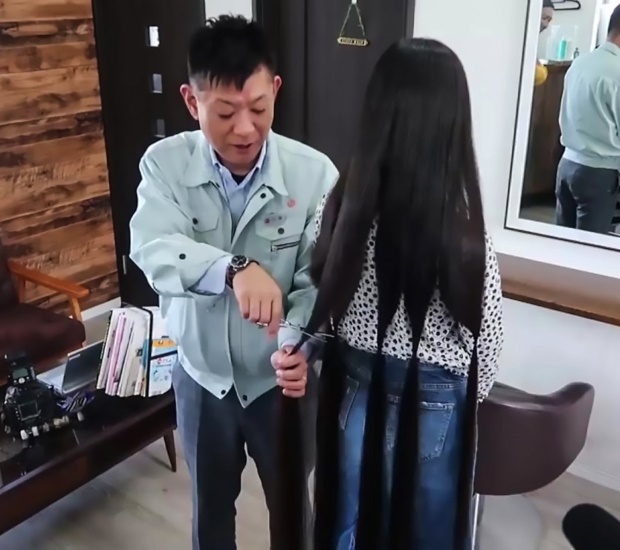 In March last year Keito Kawahara from Kagoshima in Japan was recognised by Guinness World Records for having the longest hair among teenagers aged 13 to 17 years. Her hair was 1.5m long. When Keito turned 18 she no longer qualified to keep the record and decided to cut her hair to just below her shoulders. She revealed she’d planned to cut her hair since 2017, which was when she saw an online call for hair donations for medical wigs. She recently started university and is glad to start her student life with a brand-new look. She reportedly began to grow her hair to hide a scar from surgery to remove a birthmark that usually appears on the scalp, according to Nation Wide Children. Her parents, Miyuki Kawahara (47) and Yuichi (49), used to wash and dry their daughter's hair daily. Keito's cut hair, weighing more than 100g, is being donated to an unnamed NGO.